In its 16th year, Business of Design Week has cemented itself as Asia’s premier annual event on design, innovation and brands. One of China’s biggest real estate investment events will kick off in Shanghai on Wednesday this week with a workshop on real estate financing led by Mingtiandi founder Michael Cole. China-based international property portal Juwai will be hosting its first-ever conference for international developers marketing to Chinese homebuyers next week, as the platform for mainland home buyers and international developers continues to expand its market. Some of the biggest Chinese investors in New York real estate were in Shanghai on September 11th and 12th, including top level US managers for Greenland Group, Kuafu Properties, and Xinyuan Real Estate. The EB-5 program, a US government investor visa initiative that has been overwhelmed by demand from Chinese investors, is due to expire this month, unless Congress decides to renew it. 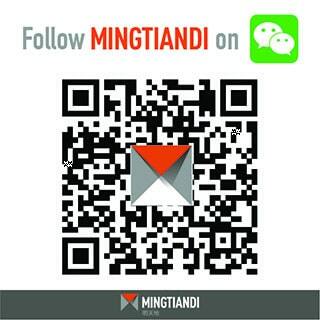 Back online after a long layoff for the new year, Mingtiandi’s China real estate happy hour event had no trouble bringing back a crowd of real estate professionals for the industry networking gathering. Mingtiandi’s first networking event of 2015 is ready for Thursday and guest response has already nearly reached the maximum for the event. Following up on the success of last year’s string of successful property investment gatherings in Shanghai, Mingtiandi has scheduled its first happy hour of 2015 for April 23rd, and expects to bring together more than 100 senior executives for the occasion.